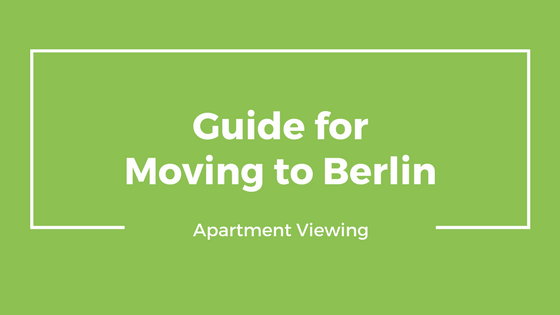 When you start the apartment search once you are in Berlin, you need to be prepared with all paperwork and have a file that you take with you to viewings. This file will contain all the required documents and, if you’re smart, you’ll also bring along some extras to make yourself stand out from the other people at the viewings. I didn’t initially do this and would show up to viewings with just myself and my hope, but when I saw that all of the other people there had a file and paperwork to hand right over I realized that I was a few steps behind. I immediately changed how I was going about the process and I created my own paperwork file to take with me to all the viewings. First, you need a copy of your passport; according to a law the estate agent has to make a copy of your ID even if you are only looking at the flat. Second, you need a confirmation of no rental debts (in German this is called a “Mietkostenfreiheitsbescheinigung”); this document only confirms that you owe no money to your previous landlord and that you have always paid your rent on time. If you are coming from another country, you can ask your previous landlord to write you a letter stating these two things, and make sure the letter is in English. Third, you need to have confirmation of your salary because you have to prove that you can pay your rent. Landlords want to see proof of income or proof of savings to pay your rent. Fourth, you need to get a Schufa statement, which is the German credit record; if you’ve never lived in Germany before you won’t have this, but once you start a bank account here and sign contracts your Schufa record starts. Don’t have all of the above required documentation? Don’t worry too much because some landlords are less strict than others and, if necessary, you can use one of the short stay apartments I mentioned in a previous post, like spotahome.com or medici-living.com for a few months to build up this paperwork file. I created my apartment file using a copy of my passport, a letter from my previous landlord stating I have no debts and always paid on time (I also included a letter from my landlord as a reference to the behavior of my dogs in the apartment and that they’d never caused any damage whatsoever), my savings account information that shows enough money to cover living expenses for a year, and an official Schufa report (it was pretty much blank but I brought it along anyways), and last, I included a copy of my home mortgage from back in America in order to prove that I have a proven history of paying on time and maintaining a long term housing contract. I’m sure this was overboard and not needed but I figured it couldn’t hurt and would help prove that I am a responsible renter. I made quite a few copies of all of the above documents and carried them with me to all apartment viewings; this way I could hand it over to the estate agent if I loved the place and wanted to be seriously considered for the apartment. 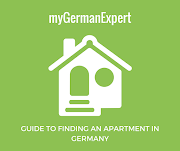 Next week I will share the required steps for bringing your pets with you to Germany.